Asus ZenFone 5Z is the Taiwanese manufacturer’s latest flagship smartphone in the Indian market. Packed with features such as a Qualcomm Snapdragon 845 SoC, up to 8GB of RAM, an 19:9 display, and dual rear cameras, the smartphone takes on the likes of affordable flagship smartphones including the OnePlus 6 and the Honor 10. While three smartphones in the ZenFone 5 series – ZenFone 5Z, ZenFone 5, and ZenFone 5 Lite – were launched at MWC 2018, only one of them has made it to Indian shores yet. 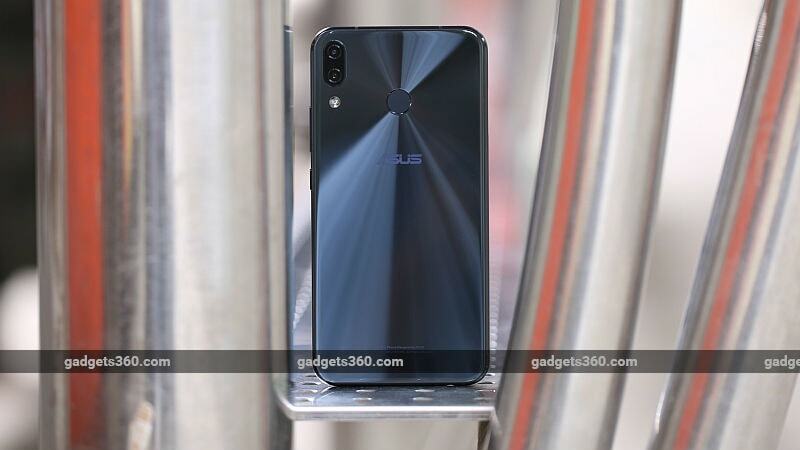 Asus India launched the smartphone in the country on Wednesday, and revealed the ZenFone 5Z price in India, as well as its release date. The Asus ZenFone 5Z has been launched in three variants in India. The base 6GB RAM/ 64GB storage variant has been priced at Rs. 29,999, the 6GB RAM/ 128GB inbuilt storage model comes in at Rs. 32,999, and the top-end variant with 8GB of RAM and 256GB of internal storage bears a price tag of Rs. 36,999. The smartphone will be available exclusively via Flipkart with availability starting from July 9. Asus ZenFone 5Z launch offers include flat Rs. 3,000 discount on ICICI credit and debit cards, Flipkart’s ‘Complete Mobile Protection’ at Rs. 499 (down from Rs. 2,299), no-cost EMIs starting from Rs. 3,333 a month, Jio offer with Rs. 2,200 cashback and 100GB additional data. The company is also touting that ZenFone 5Z buyers will be able to enjoy service benefits like invoice free walk-in, free pick-up and drop, and device swap at service centres. The dual-SIM (Nano) and dual-VoLTE supporting Asus ZenFone 5Z runs ZenUI 5.0 on top of Android 8.0.0 Oreo out-of-the-box, with an Android P update in the pipeline. The smartphone sports a 6.2-inch full-HD+ (1080×2246 pixels) Super IPS+ display with an 18.7:9 aspect ratio and Corning Gorilla Glass protection. It is powered by a Qualcomm Snapdragon 845 SoC, which comes paired with an Adreno 630 GPU and up to 8GB of RAM. UFS 2.1 storage on the smartphone goes up to 256GB, expandable via microSD card (up to 2TB). There is a vertically stacked pair of cameras on the back of the ZenFone 5Z. The rear camera setup consists of a 12-megapixel Sony IMX363 primary sensor, with f/1.8 aperture and support for OIS, and a secondary 8-megapixel OmniVision 8856 sensor with fixed focus, f/2.2 aperture, and a 120-degree wide-angle lens. The rear cameras are coupled with a single LED flash. On the front, the flagship handset bears the same 8-megapixel fixed focus OmniVision 8856 sensor for selfies and video calls. The selfie camera has support for Face Unlock. Connectivity options on the Asus ZenFone 5Z comprise of 4G VoLTE, dual-band Wi-Fi 802.11ac (2.4GHz/ 5GHz), NFC, Bluetooth v5.0, FM radio, USB OTG, GPS/ A-GPS, GLONASS, Beidou, USB Type-C (Gen1), and a 3.5mm headphone jack. Sensors onboard the smartphone include accelerometer, ambient light sensor, electronic compass, gyroscope, fingerprint sensor, proximity sensor, and RGB sensor. There is a 3300mAh battery underneath the hood with support for Quick Charge 3.0; the handset comes with a bundled 18W charger. Dimensions of handset are 153×75.6×7.7mm and weight is 165 grams.